A cozy leftovers meal, for a stormy day. Heat oil in a large pan or dutch oven. Saute onions and garlic until soft. In a small bowl, mix together oyster mushroom sauce, Braggs, cornstarch, pepper, and water. Add noodles to the hot pan, along with sauce and bok choy. Cook about 5 minutes, stirring until all ingredients are covered with sauce. 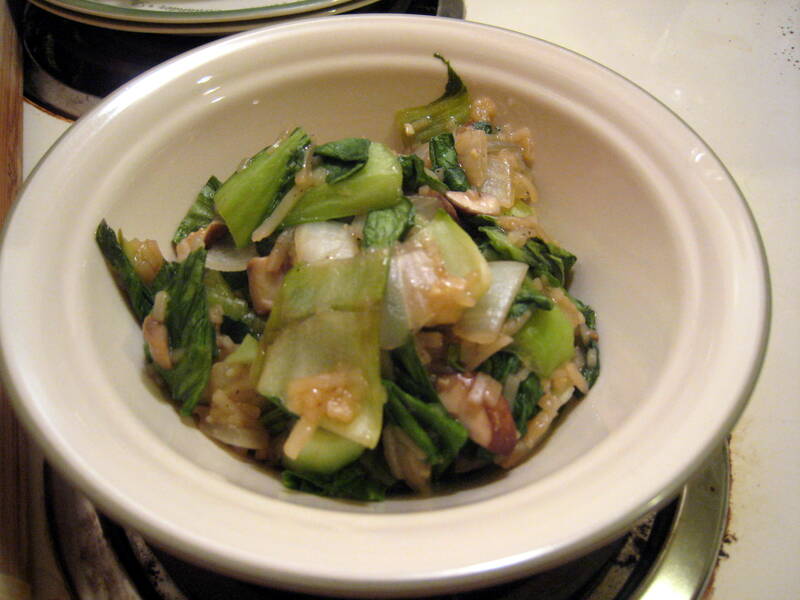 This entry was posted in veganmofo and tagged baby bok choy, dinner, gluten free, rice noodles, vegan, veganmofo by Beans, Figs and Katz. Bookmark the permalink.